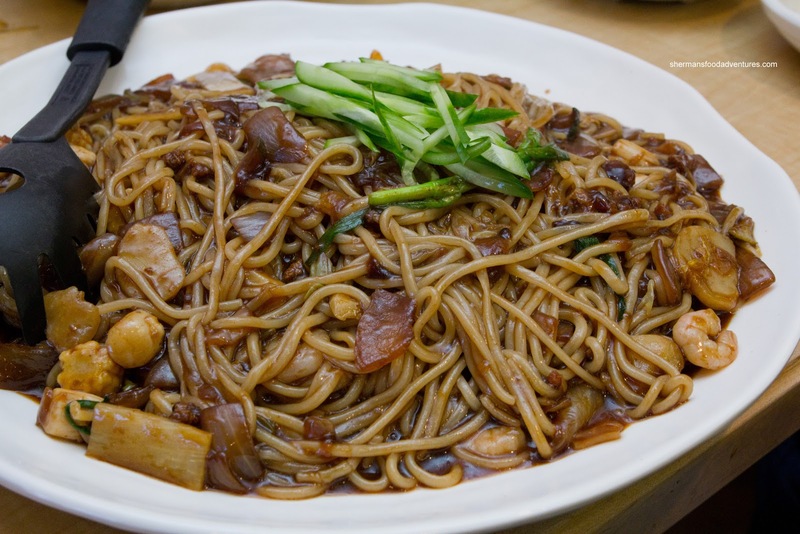 If you're into Asian cuisine, it is a good bet that you've heard of Indian Chinese food. 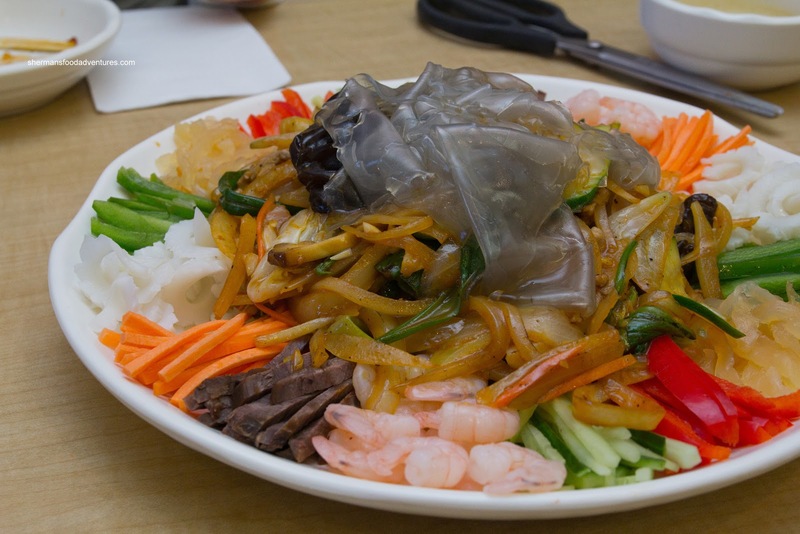 2 more popular restaurants serving the cuisine are Green Lettuce and Chili Pepper House. And what exactly is Indian Chinese food? I would say it is a spicier version of Chinese cuisine that has similarities to Szechuan cooking. Now what I asked if you've ever heard of Korean Chinese food? 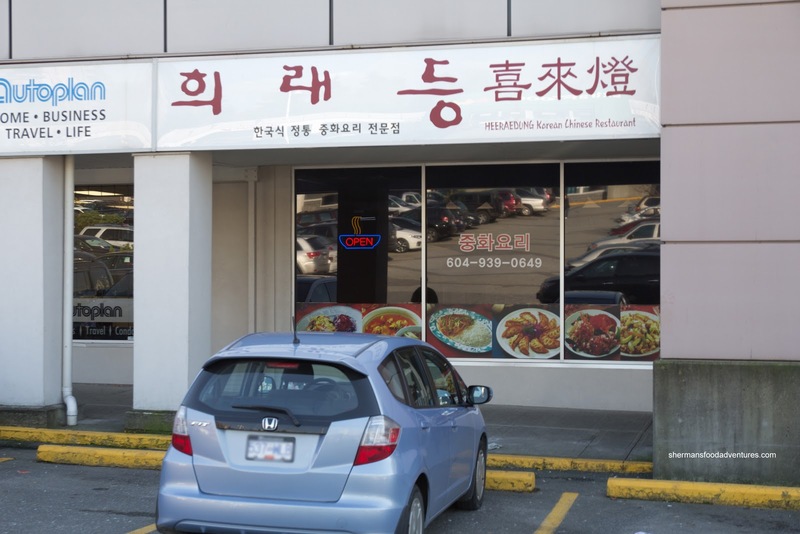 Much like Indian Chinese food, where ethnic Chinese settled in Calcutta, Korean Chinese food has its roots in Incheon (where ethnic Chinese settled there). And I'm sure there are those out there that are well-versed in this type of cuisine as well. But... 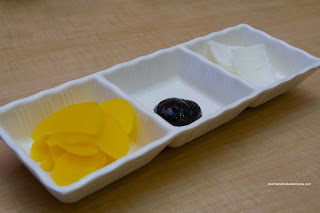 It really doesn't get a lot of play because it is not really all that visible (albeit you can find some of the dishes at some Korean restaurants). The lack of visibility can be partially be attributed to the absence of dedicated Korean Chinese food. The last place I found a good selection of dishes was the now gone Da Rae Oak. 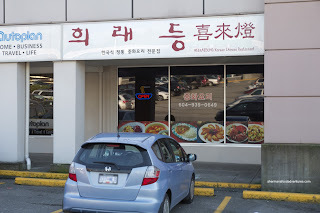 While I was breakfasting with JuJu at Jimmy's Place in Burquitlam, we had passed by Hee Rae Dung Korean Chinese Restaurant. Seeing how JuJu is Korean, he was intrigued. Well, I invited him to join Gordo, Viv, Rich Guy and myself for a meal there, but something about him working... Normally, I generally have a plan of attack when ordering dishes. Obviously we wanted to try the "must try" items as well as a good representation of the entire menu. Well, due to my busy schedule, I didn't really do any research with the menu and just resorted to ordering 2 combos. Problem being... there were some duplicates! Albeit slightly different. So I apologize for the repetitive nature of the food! Typically, a side of pickled daikon, black bean paste and onions are served as a side to a Chinese meal in Korea (as we had here). 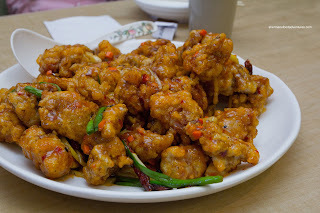 Officially starting off our meal, we got a big plate of the Kan Poong Ki or Spicy Fried Sweet & Sour Chicken. I've had this dish a few times before, but this has been the best hands down. The large chunks of dark meat were fried up beautifully crisp on the outside while retaining a juiciness inside. Bathed in a mildly spicy sweet and sour sauce (just barely clinging to each piece), we kept going back for more. 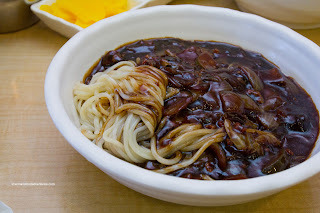 Next up was another classic Korean Chinese dish being the Ja Jang Myun (Noodles with Black Bean Sauce, onion and pork). 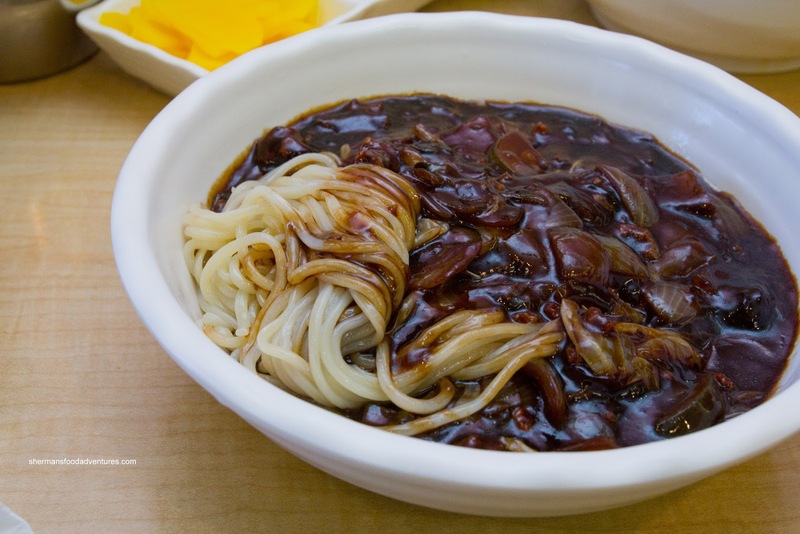 For those familiar with Northern Chinese cuisine, this is a version of the popular Ja Jeun Mein. Although there was plenty of sauce, the flavours were mild with natural sweetness from the onions. The noodles were soft while maintaining a certain chewiness. Continuing with more noodles, we had the Jjam Bong or Spicy Noodle Soup with vegetables, shrimp, squid and scallops. Although the visuals didn't point towards a flavourful and spicy broth, it really was. There was a slow rumbling spiciness that hit in stages and lingered afterwards. The seafood was cooked nicely, noodles were al dente and veggies crisp. These 3 dishes belonged to Combo B which only set us back $27.90 (and these were large portions). As part of Combo E (yes, I see the irony with ordering combos B&E...), we started with the Yang Jang Pi which was a large platter of seafood, seasoned beef, veggies and noodles with a spicy mustard sauce. This definitely looked better than it ate. Not that it was bad necessarily, but there was a bit too many onions and not enough noodle. 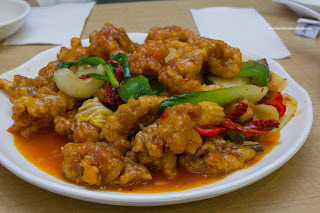 Next was the Ra Jo Ki or Spicy Chicken with Vegetables. Essentially a wetter version of the Kan Poong Ki, it was slightly less spicy and crispy. 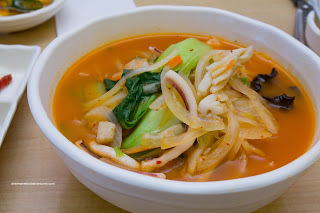 Lastly, we had the Family Ja Jang which is a larger version with the addition of seafood. The flavours were slightly different due to the seafood and a bit more moist due to it being stir-fried. Nice. What a pleasant meal and pretty decent value to boot. I think Hee Rae Dung and I are going to be real good friends. Now get me more of that spicy sweet & sour chicken!